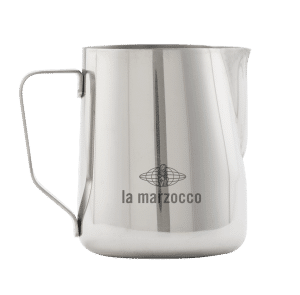 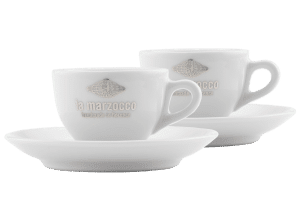 The La Marzocco branded 12 oz. 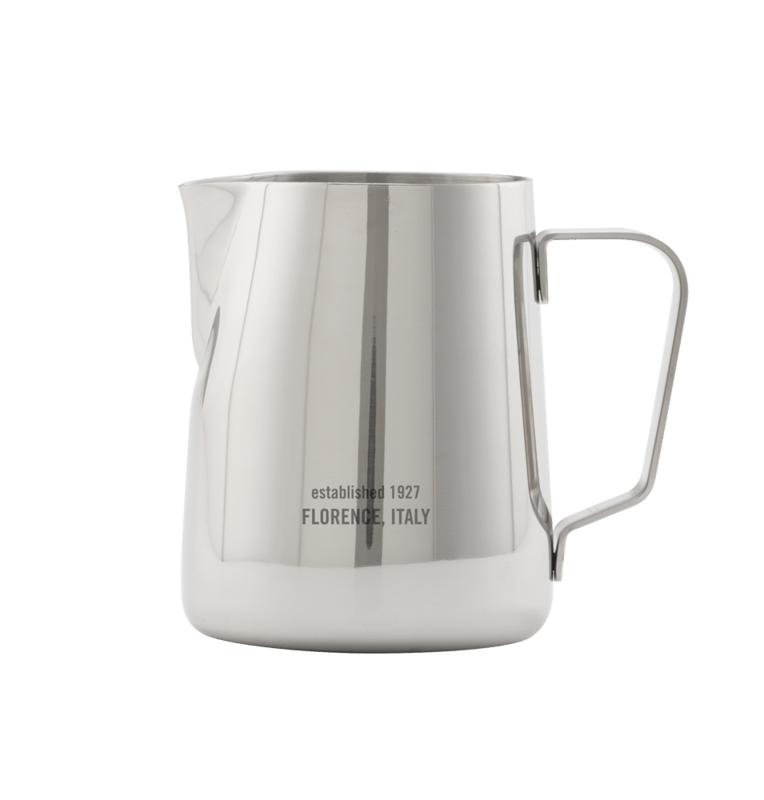 steam pitcher by Rattleware is made from 18/10 high quality stainless steel. 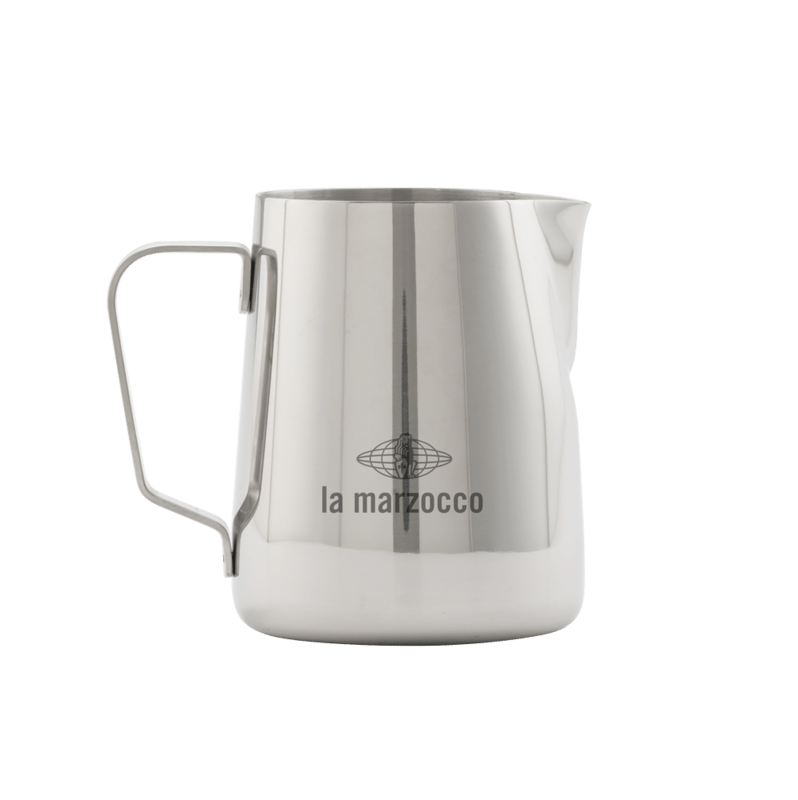 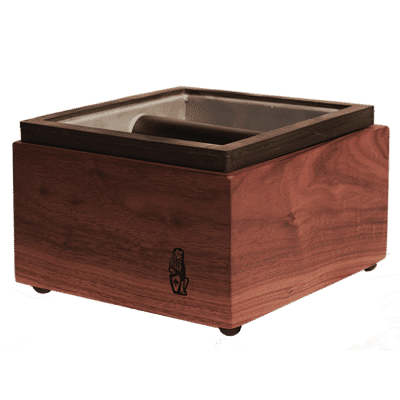 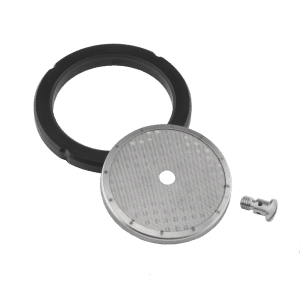 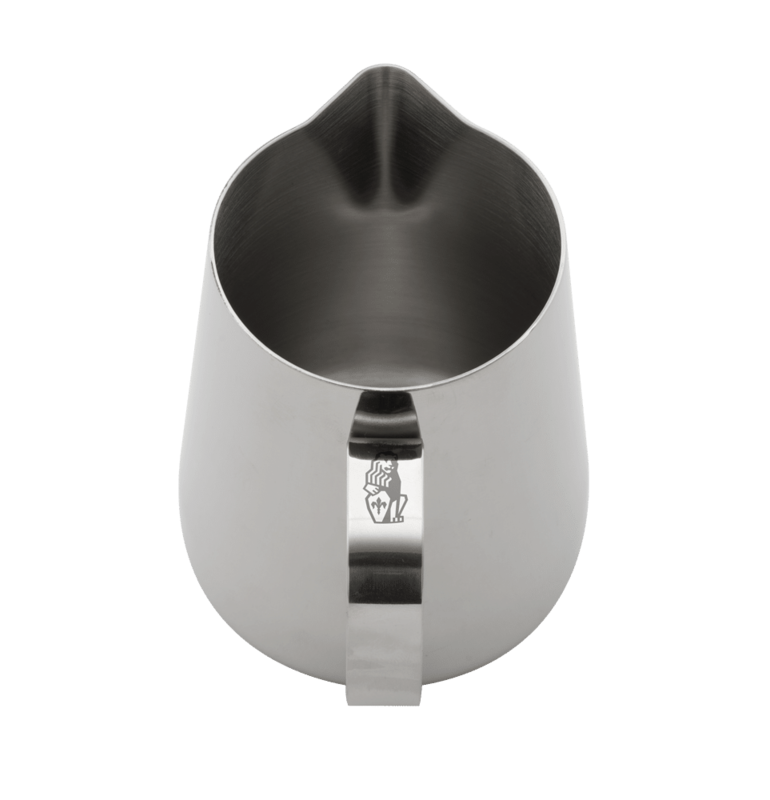 The tapered spout and heavier feel makes this the preferred pitcher to use for making latte art.